Days Are Gone is nearly a year old now. I thought Haim had run out of ways to surprise me (or at least until they finally get working on a second LP). The star-studded video for "My Song 5" has proven me wrong. You've got a guest verse from A$AP Ferg. SNL's Vanessa Bayer hosts. Grimes is there. Ke$ha is there. Ezra Koenig is just sitting around being Ezra. Big Sean stops in for a second. 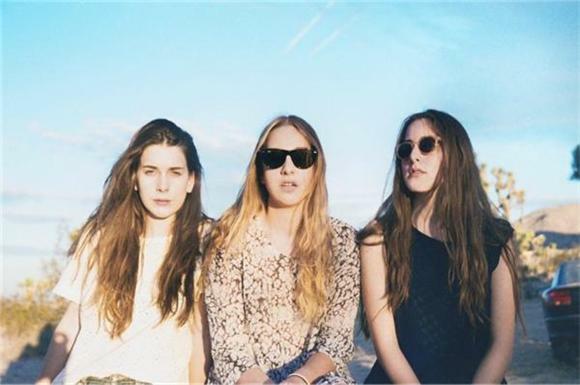 And the Haim sisters do their Haim sister thing. Sadly, there's no Este bass facebut it's still one of the strongest tracks from one of last year's best records.